This TA Technix sport suspension kit is for the Audi A3 8L without Quattro from 1996-2003. 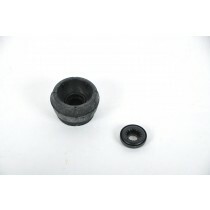 This TA Technix sport suspension kit is for the Audi 50 type 86 from 1974-1978. 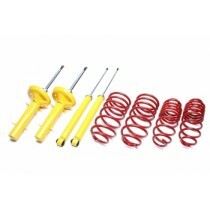 This TA Technix sport suspension kit is for the Audi A2 type 8Z from 1999-2005. This TA Technix sport suspension kit is for the Audi 80 type 89 without the Coupe, Convertible and Quattro. This TA Technix sport suspension kit is for the Audi 80/90 type 89 from 1986-1991 without the Coupe, Convertible and Quattro. This TA Technix sport suspension kit is for the Audi 90 type 81 from 1979-1986 without Quattro. This TA Technix sport suspension kit is for the Audi 80 Sedan type B4 from 1991-1994 without Quattro.